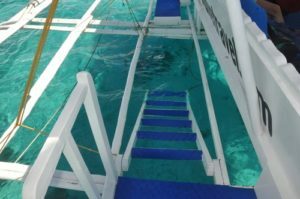 Fun & Sun Dive & Travel is your island hopping provider! 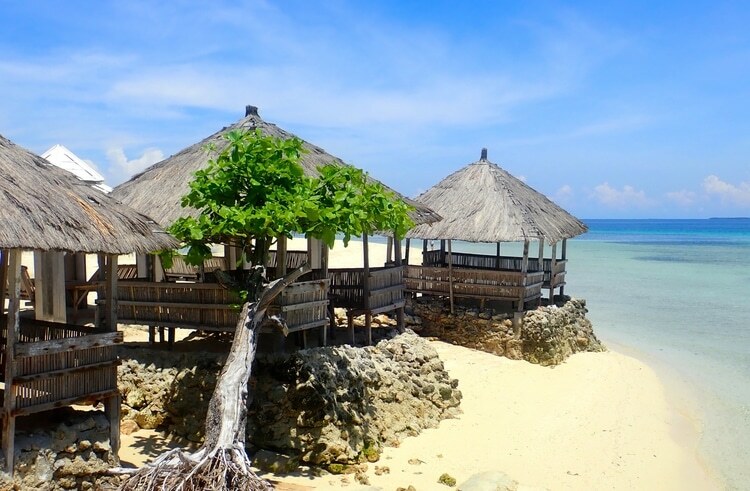 We visit the islands around Mactan on a daily basis. And everyone can join us on this amazing experience! 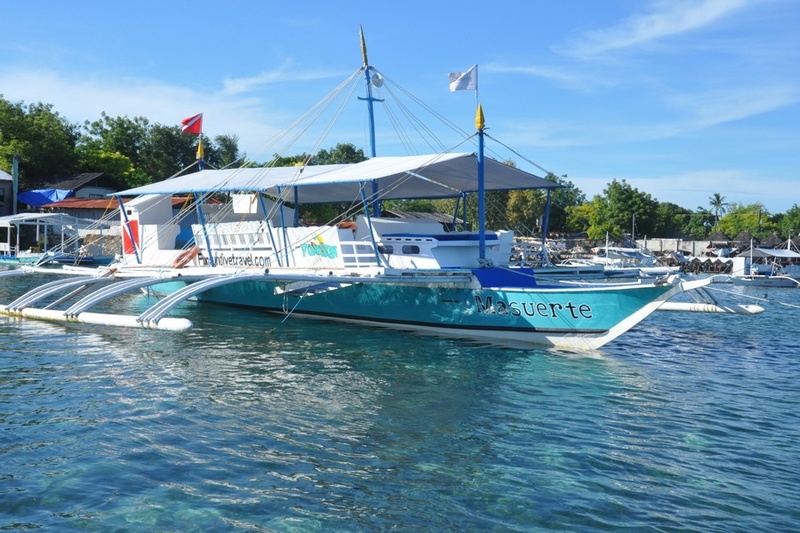 Just reserve your seat, join others island-hoppers on the bangka boat and enjoy snorkeling in the waters of Mactan. You only pay your seat! Cheaper, funnier and much less trouble to organize! We have two different trips running daily. 1st itinerary: Hilutungan (inside the marine sanctuary) – Nalusuan (outside marine sanctuary) – Pandanon. The boat leaves at 9am from Fun & Sun Dive center in Marigondon and comes back same place at 3:30pm. The price of 2500 PHP includes everything you need during the day: a superb BBQ lunch with a drink, a towel, a snorkel set and a lifejacket! Even the marine park fees are included in that price. You just have to bring your sunscreen and a camera for the memories. 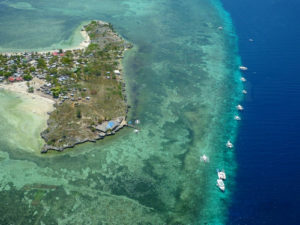 2nd itinerary is : Hilutungan (inside the marine sanctuary) – Nalusuan (inside marine sanctuary + island) – Caohagan. Schedule is the same. Price starts at 2750 PHP and it includes everything you need too. Upon demand, there is also the possibility to do an Introduction to Scuba diving during the trip! You will spend around 30 minutes underwater and experience how it feels to be a diver. If you prefer to have your own boat and to choose your destination, it is possible too! Just have a look below at some of the possibilities and send us a message to book your boat! Don’t miss our yummy BBQ lunch! 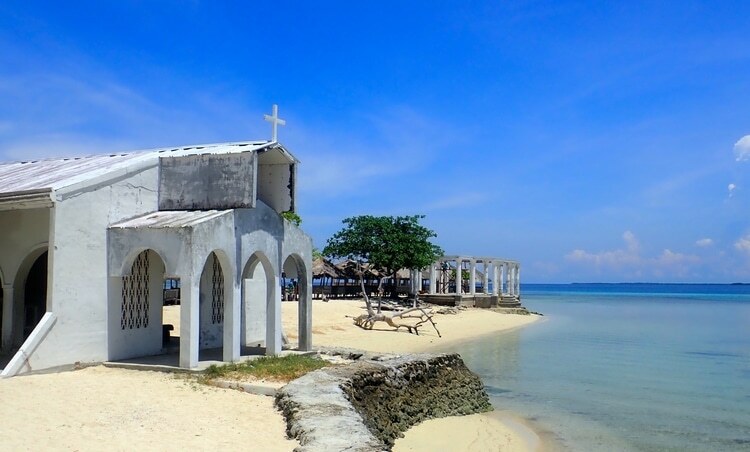 Right across Mactan Channel, stands the island of Olango, where Talima is located. This site has been declared as a Marine Sanctuary and is today a favorite site for the snorkeling crowd. A large mangrove covers the south part of the island, where one of the most famous bird sanctuaries of the Philippines is located. 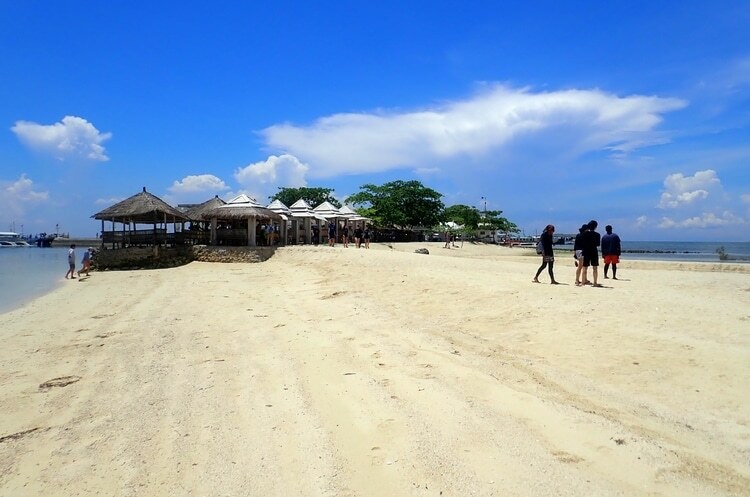 If you have limited time, this will be a perfect spot as just 25 minutes away from Fun & Sun dive center. An enjoyable 25 minutes boat ride will bring you to Hilutungan Island, a snorkeling paradise as this site was declared as marine sanctuary for decades. This island is perfect for snorkeling or to do an Introduction to Diving. Even snorkelers can often admire schools of big Jacks passing by! 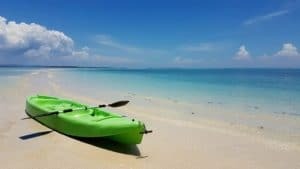 The north sandbar is the place to go if you want to experience the feeling of having your very own island. Because of the distance (about 2h travel), you should be the only boat there! The water around the sandbar is crystal clear and with white sand, this spot deliver the best holiday pictures. Bagonbanwa or South Sandbar as it is called is approximately one hour and a half south of Mactan. The Sandbar features flocks of Seabirds as the only “inhabitants”. There is a nice coral reef, which make this place an ideal snorkeling place, too. When the tide comes in, the island “shrinks” until it completely disappears. On the East side of Olango Island, you can find some “floating” Restaurants on stilts, which offer fresh seafood. This is a favorite tourist stop after a couple of hours snorkeling at one of the Sanctuaries. Regularly, there are local musicians ready to play your favorite songs while you are eating and drinking. 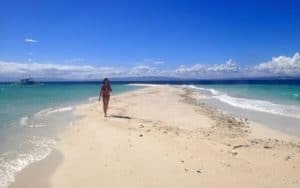 Pandanon Island has a nice strip of sand, which extends over one mile from the beach during low tide and is located approximately an hour away from Mactan. There are small huts for rent on the main beach, which provide comfortable shade. The water is crystal clear and ideal for swimming. On the way you may get a chance to see dolphins if you pass through the North point of Olango island. Only 10 minutes away from Hilutungan stays the island of Nalusuan. 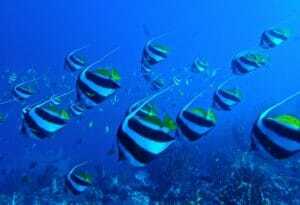 It is another marine sanctuary with excellent abundant marine life for snorkelers. The island can’t be mistaken with any other due to its long wooden pier crossing its shallow waters. 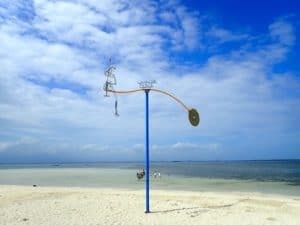 During low tide, a beach appears on the opposite side, facing Cebu. The Marine Sanctuary is very fish-crowded, and sometimes you can even see a turtle.